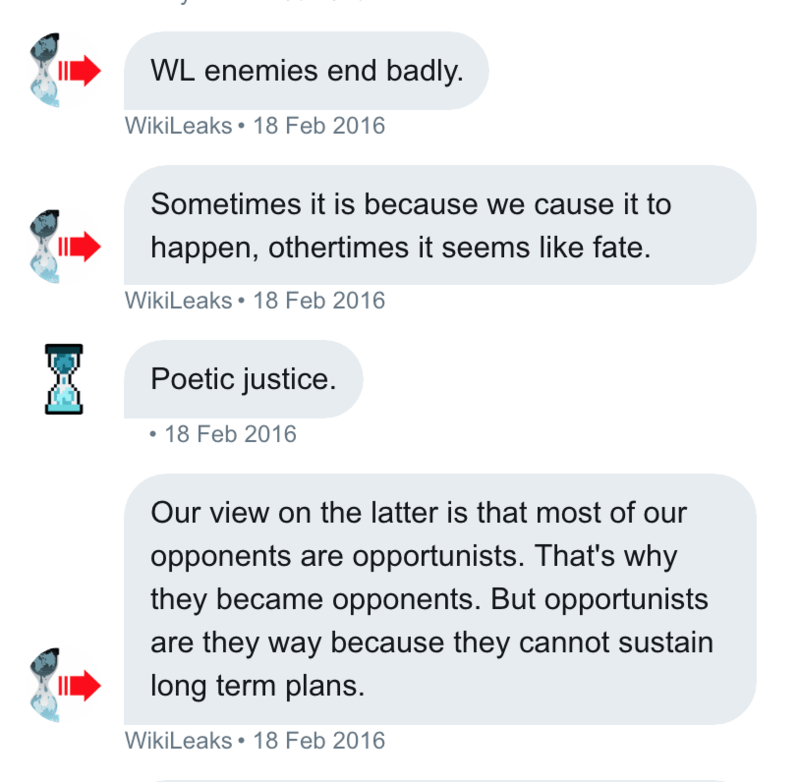 A former UK-based WikiLeaks employee who leaked chat logs to The Intercept in February which he says reveal a preference for a 2016 GOP election win is back for more - this time with additional screenshots and colorful commentary. In response to the February article, Assange hit back in a series of Twitter rebuttals - pointing out that The Intercept's author, Micah Lee, failed to do basic fact checking, such as noting that the WikiLeaks account has a rotating staff (i.e. anyone could have written the controversial messages), and the article used "messages from late Oct 2016 when I infamously had no internet access." - basic fact checking would have shown this. another example: the article uses messages from late Oct 2016 when I infamously had no internet access. And now, the WikiLeaks "defector" known only as "Iain" is back to take another bite at the anti-Assange apple in The Daily Beast - which makes the same assumption that the chat messages were all written by Assange. Iain began working with WikiLeaks in 2012. The longtime liberal anti-war activist became directly involved in the organization after WikiLeaks came under fire for the Chelsea Manning leaks. 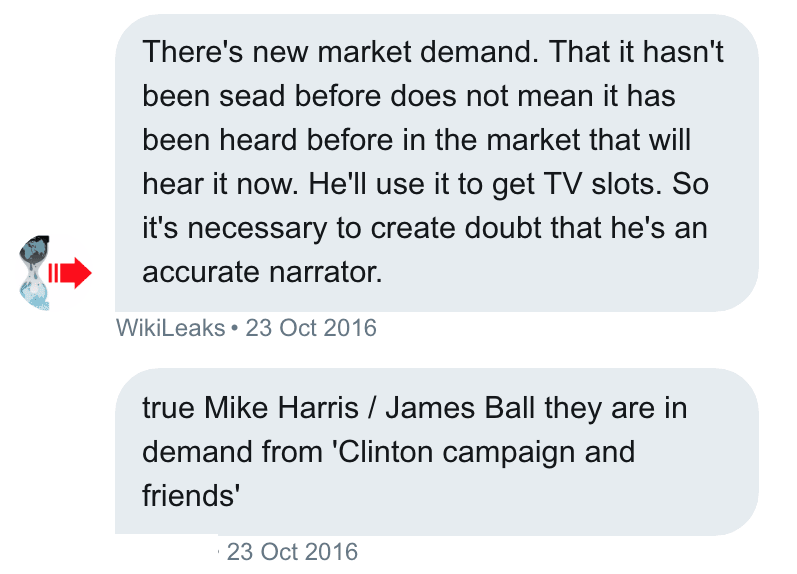 Iain gained Assange's trust "through supportive posts on Twitter and his now-dormant website, titled Martha Mitchell Effect and later Hazelpress," however he said that after it became clear that the Wikileaks staff wanted to fight the US establishment. Another message from February 2016 reads "WL enemies end badly... Sometimes it is because we cause it to happen, other times it seems like fate." 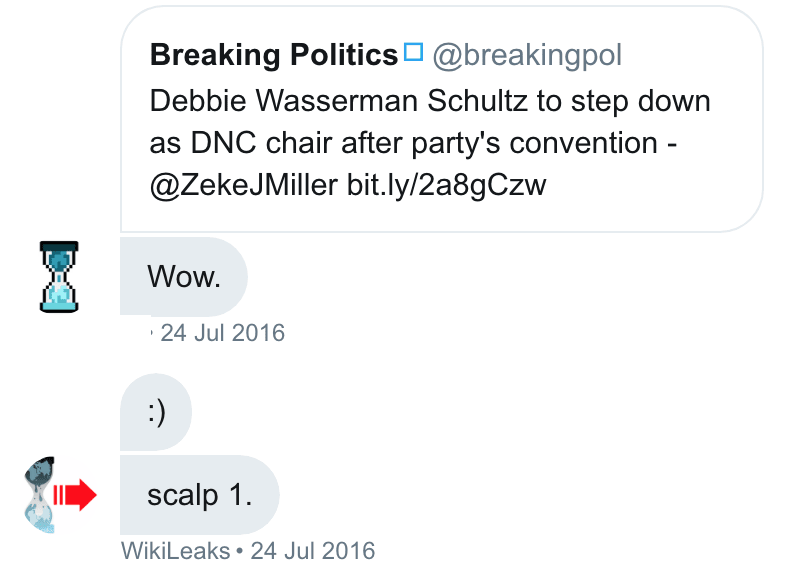 After Iain became disaffected with WikiLeaks, he gathered logs from the chat group which he organized called "WikiLeaks Plus 10," described as a "low-security channel for some very long term and reliable supporters who are on Twitter." The Daily Beast then goes on to mention WikiLeaks tweeting about "Hillary Clinton’s health, Pizzagate, and even Democrats engaging in satanic rituals at the same time it was releasing genuine material stolen from the Democratic National Committee and the Clinton campaign." And the article's grand, underlined shocker? This was not, as it might appear, a cynical bid to garner Donald Trump’s favor; nor was it simple pandering to a new funding base, argues Iain. It was part and parcel of Assange’s alignment with Russian President Vladimir Putin against their common adversary, the United States. Speaking of Assange's "WikiLeaks Party" - a failed 2013 bid to win an Australian Senate seat, Iain says “The party’s website content now operated solely to legitimize Russian propaganda by placing it under the umbrella of WikiLeaks’ valuable brand of truth and transparency,” said Iain. We await Julian Assange's reply - as soon as he's allowed to use the internet again.